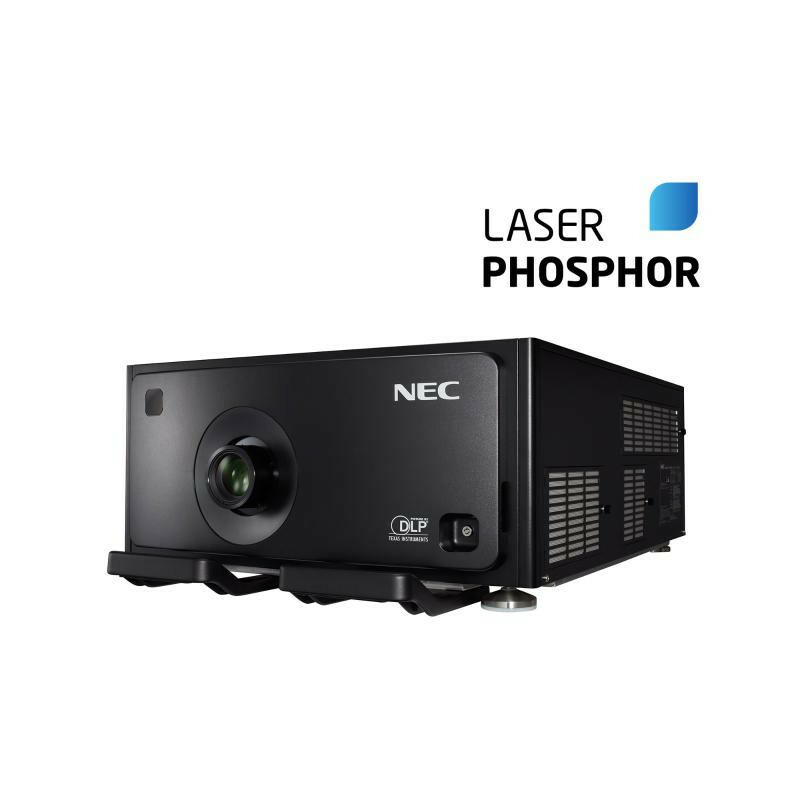 NEC's new bright NEC PH1202HL , a 3DLP Laser Installation Projector delivers all the benefits associated with the latest laser light source. 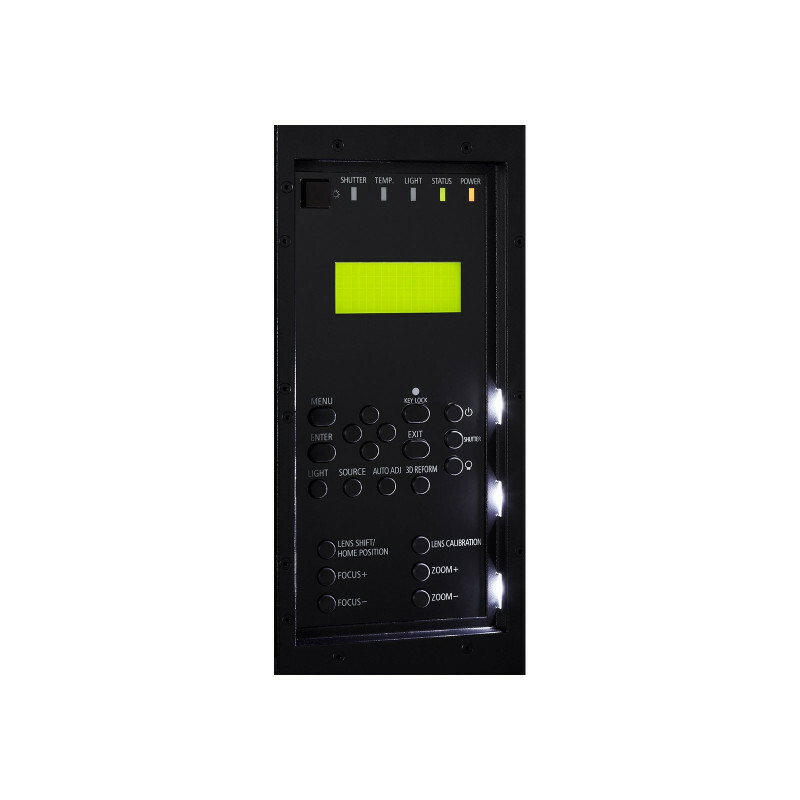 With no lamp replacement necessary, maintenance is not required and longevity is assured. 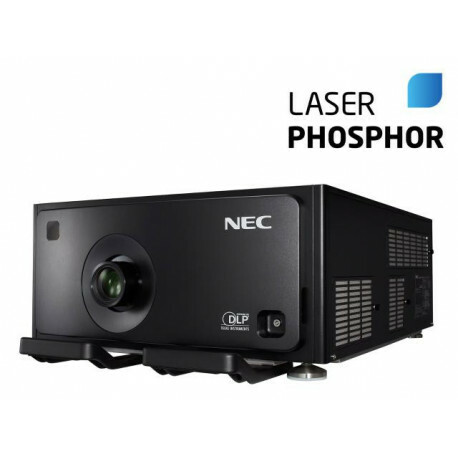 Achieving an outstanding colour gamut and supreme image detail at high resolutions, laser is the light source of the future. 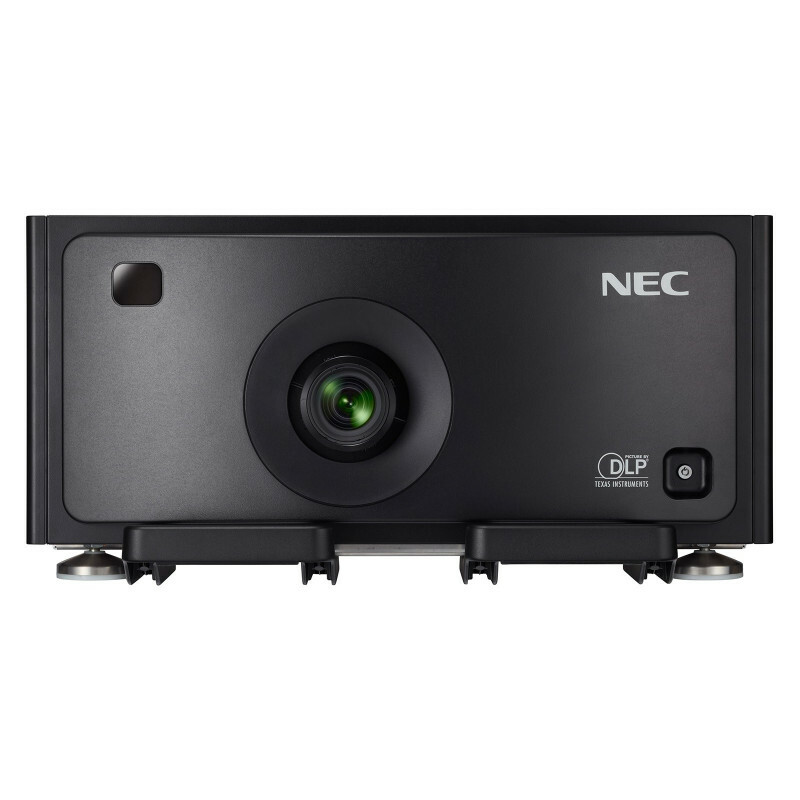 Addressing the demanding large venue environment, the new NEC PH1202HL presents high brightness, Super Dust Protection and professional installation featuresfor superior projection performance within Rental/Staging, Higher Education, Museums, large Corporates and Signage installations. No lamp replacement – up to 20,000 h maintenance free operation possible due to Laser Light Source. 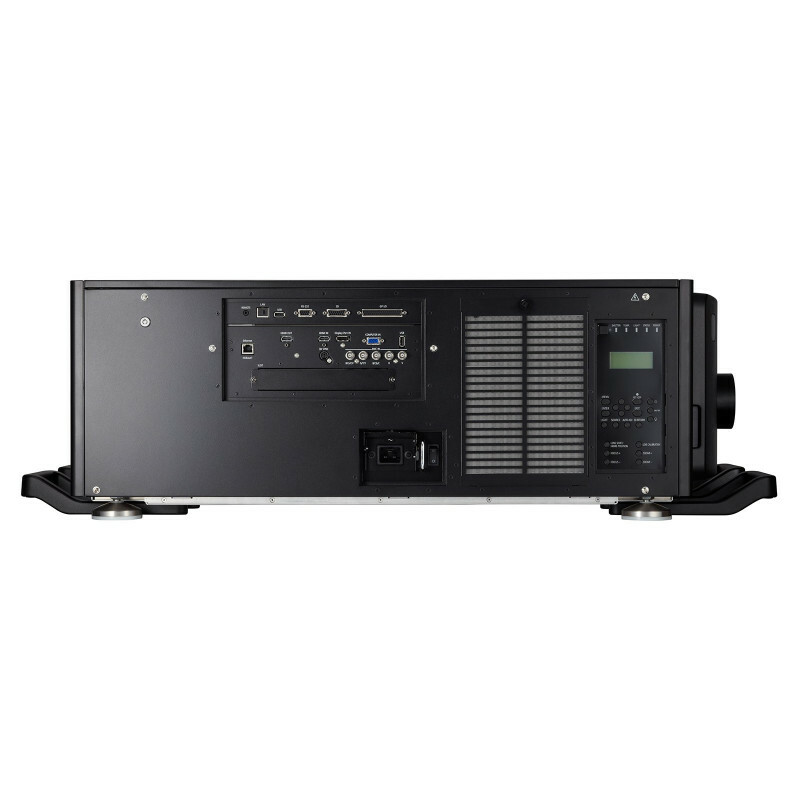 Easy installation – selection of wide zoom bayonet lenses, wide vertical and horizontal lens shift and control code emulation guarantees hassle-free installation and replacement of old installation projectors. 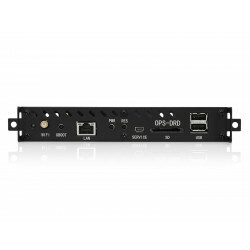 Easy way to a big picture – up to 4K interface, HDMI-out signal loop through, built-in signal splitter and edge blending capability enables large presentation pictures without any external devices. PiP function allows additional sources to be displayed. 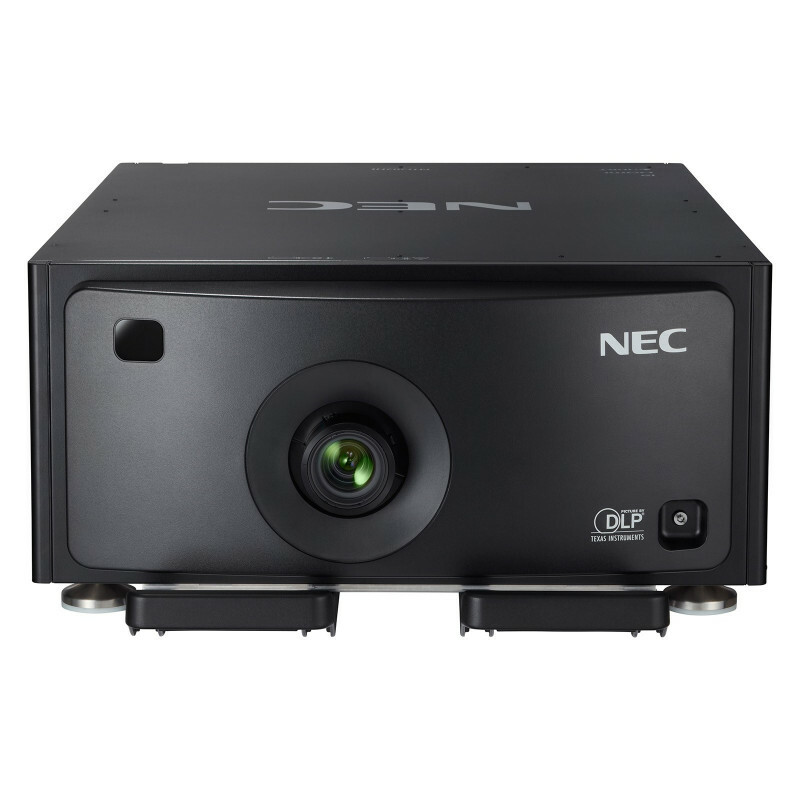 Outstanding Picture Quality – whole new visualisation experience with high brightness, up to 12.000 ANSI input signal and unique picture & colour processing technology based on the latest NEC scaler chip. 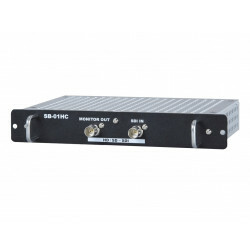 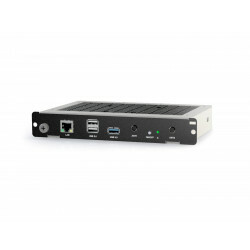 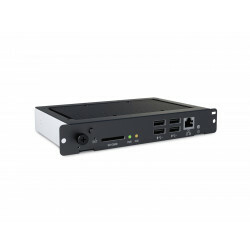 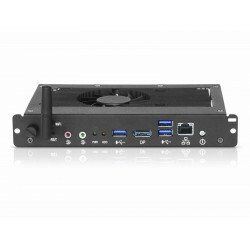 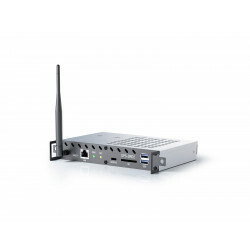 Rich connectivity – including HDBaseT, the world’s first HDMI-out interface, 1xHDMI and DisplayPort technology guarantees outstanding connectivity. 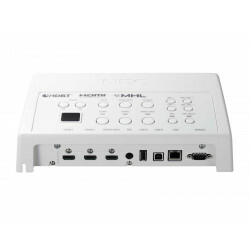 Widest application support – portrait mode projection, 360 degree free tilt installation, unique geometric adjustment and 3D support offers unrivalled installation capability. 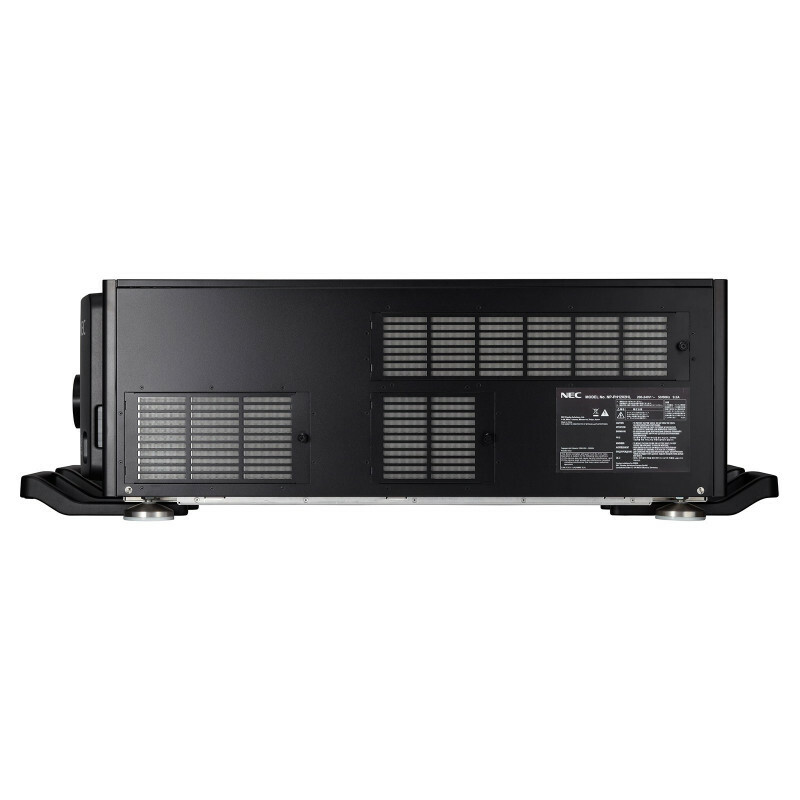 Super Dust Protection – NEC's patented heat exchanger and the completely sealed optical engine offer continuously best performance in harsh Rental/Staging environment.